USPA NEWS - Queen fans and rock-n-roll lovers won't have to wait much longer to see the much anticipated release of Bohemian Rhapsody - The Movie. The late Freddie Mercury, front man for the rock band Queen, will be immortalized on the big screen starting in October. Queen fans and rock-n-roll lovers are sure to enjoy learning the inter-working of the band while they were composing their hits and especially when they produced the song that is the namesake of the movie Bohemian Rhapsody. Born Farrokh Bulsara on the island of Zanzibar in 1946, Freddie’s early life had him attending and studying piano at St. Peter’s, a private school in India. In 1964, his parents moved the family to England, where he began studying graphic design at Ealing College of Art. Freddie met Brian May and Roger Taylor while they had the band Smile. They needed a new lead singer and Freddie fit the bill. Queen was formed and became complete when John Deacon joined them in early 1971. They released three albums in those early years: Queen, Queen II, and Shear Heart Attack. It was their fourth album, A Night at the Opera and the single Bohemian Rhapsody that brought them worldwide attention. Released in 1975, Bohemian Rhapsody sat on top of the UK charts for nine weeks. 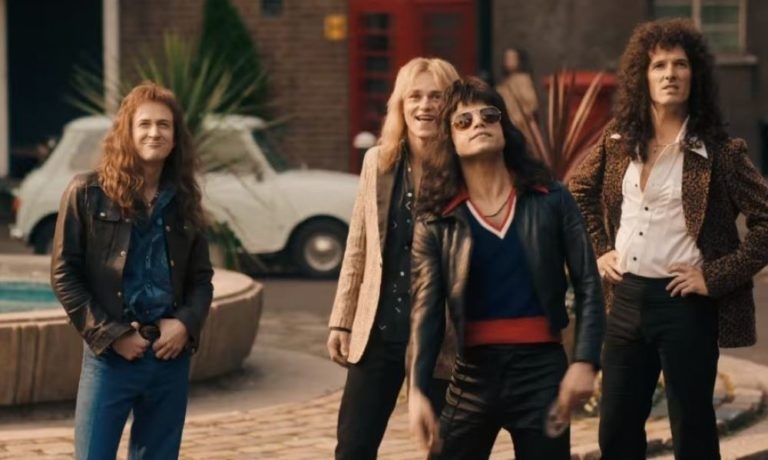 Starring in Bohemian Rhapsody – the movie, is Rami Malek as Freddie Mercury, Gwilym Lee as Brian May, Ben Hardy as Roger Taylor, and Joseph Mazzello as John Deacon. 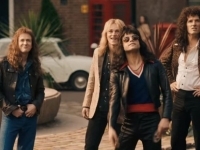 The IMDb website for the movie summarizes it as “a chronicle of the years leading up to Queen’s legendary appearance at the Live Aid concert in 1985.” Bohemian Rhapsody opens in the UK on October 24th and in the USA on November 2nd.